We review the latest planning document about Oxford Station. 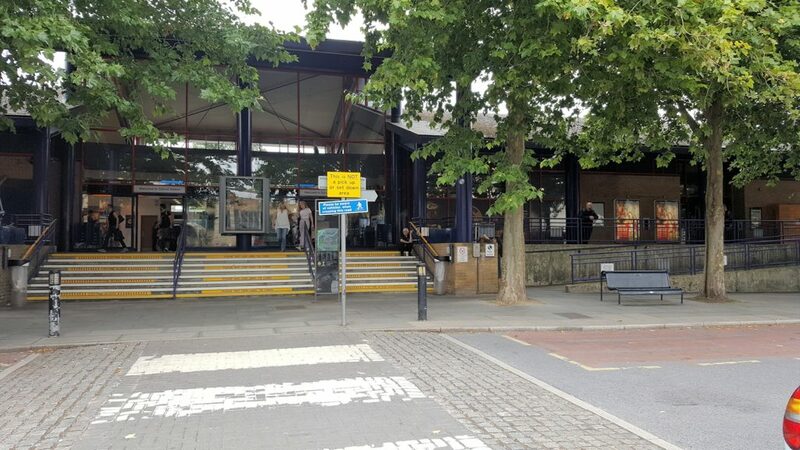 Oxford City has invited comments on a draft Supplementary Planning Document (SPD) for Oxford Station, which is available here. We find the draft seriously lacking and in danger of being out of date before it is published. It looks at the station in isolation instead of in the context of wide-ranging developments in the western part of the city. It fails to show how active, sustainable modes of travel (walking, cycling, buses, rapid transit) – which it is both City and County policy to encourage – will be integrated with the station. Without substantial modification it would produce a worse rail/bus interchange than the present unsatisfactory arrangements. This article is a brief summary of the Society’s comments. You can read our complete response here. It relates to an out-of-date West End AAP (Area Action Plan), and is therefore out of date in planning terms. The AAP predates many recent and future local railway changes1, which make it essential that numbers of predicted station users are revised to take account of these before any design is put forward to accommodate the space required inside and outside the station. Although the SPD mentions the highly significant planned developments at the Westgate Centre, Oxpens, Osney Mead and the island Hythe Bridge Street/Park End Street (Oxford Central West), it does not attempt to relate to them or attempt to achieve any synergy with them. Separating the bus station and the rail station will mean even poorer transfer arrangements than at present. 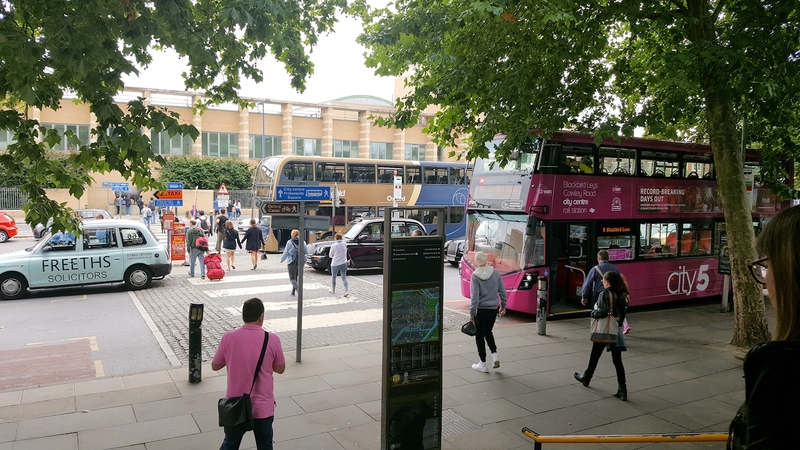 There are no details of the proposed bus routes serving the bus station; in view of the narrow streets (Becket Street, Osney Lane, Hollybush Row) it will be important to establish whether or not these streets can support the proposed number of buses, and the implications for the functioning of Frideswide Square. A recent publication by Stagecoach Bus Company gives an insight into good practice in designing new bus routes . Despite the City’s ‘Cycling City’ aspirations and County policy, no details are provided of the provision of safe cycle routes in the area. The Rapid Transit, one of the County’s principal proposed sustainable solutions to Oxford’s traffic problems, is not mentioned at all. The absence of credible estimates for the cost of widening the Botley Road Bridge and deepening the roadway beneath it raise important questions about the viability of the whole scheme. We believe that the cramped nature of the present rail station site means that many of the aspirations for a better gateway to Oxford are largely unrealizable. We have argued for a very long time that the new transport hub stands a much better chance of being funded if it were located at the Oxpens. However we do urge that the station area should be redeveloped as part of a single masterplan for the Oxford Central West area. We also question the relationship between the preparation of the Oxford Local Plan 2036 and its constituent and current city-wide and city centre transport studies. Surely the outcome of these studies and their incorporation into the draft Local Plan should be synchronised with the preparation and finalisation of the Station SPD? 1. The expansion of rail services to Bicester and Marylebone under Chiltern Railways’ Evergreen 3 scheme, the plans to re-open East-West Rail to Bedford, Milton Keynes and Cambridge, the planned electrification of the main GWR line to London and South Wales, and the likely re-opening of the Cowley branch line to passenger traffic.